Does your heart remain EAST of San Francisco? This is the sticker for you! To purchase, just click on the "Add to Cart" button, specify quantity, click "Update Cart" then click "Checkout". 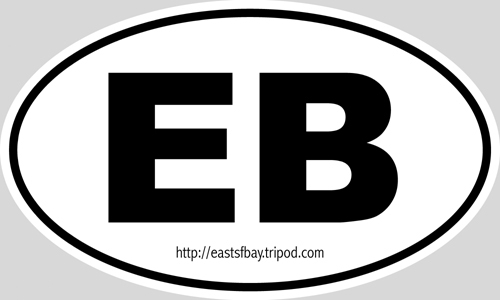 Oval East Bay "Country Code Style" Stickers!! Only $2.99...that includes tax and shipping!! Click below. Want to learn how to KITEBOARD? ?